Recently I read Bang the Drum Slowly, a 1956 novel by Mark Harris about players on a fictional baseball team. According to the University of Nebraska Press website, this book was once ranked among the top 100 sports books of all time by Sports Illustrated. This is a rare cancer narrative. I’d give it 4 stars, or maybe even 5 – depending on my mood and your scale. 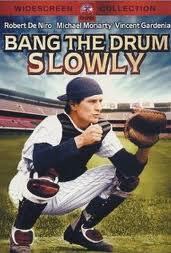 The story’s told from the perspective of the New York Mammoths’ reliable and usually-winning pitcher, Henry Wiggen. With reason, his teammates call him “Author.” Early on, Author learns his team’s less verbal catcher, Bruce Pearson, had traveled, covertly, to Rochester Minnesota for treatment of Hodgkin’s disease. This slim work, oddly elegant in its tenderness and guyish language, resonates today. Some of the pertinent issues include Author’s difficulty in keeping the knowledge of his friend’s illness to himself, the others’ varied responses to the catcher’s disease and cope with his looming death, some acquaintances trying to take advantage of the situation while others reach out and help, fear of the disease…It’s loaded! An unmissable medical message – apart from the work’s cultural aspects – is that the young player with Hodgkin’s lymphoma had what was accepted as an incurable illness back then. Today, approximately 90 percent of young people with that cancer type survive for decades after the illness and may have a full life after treatment. With so much talk about the costs of care, and research, it’s easy to forget that this was a usually-lethal disease, even at the best of medical centers six decades ago. I plan to see the two cinematic versions of this story. The first appeared on TV in a 1956 episode of the United States Steel Hour, with Paul Newman as Author and Albert Salmi playing the infirm catcher, among others. More of you may be familiar with the 1973 movie, called Bang the Drum Slowly, starring Michael Moriarty and Robert DeNiro. Toward the end of the book, a character nick-named Piney sings an old tune about a dying cowboy with this verse: “O bang the drum slowly and play the fife lowly, Play the dead march as they carry me on, Put bunches of roses all over my coffin, “Roses to deaden the clods as they fall.” Some of the players mind the music more than others. The author admits feeling sad. 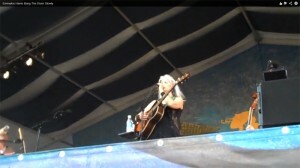 Though I didn’t find much on the original music behind those verses, which probably exists and has a long history, I did find a clip of Emmylou Harris singing a newer song of the same name. 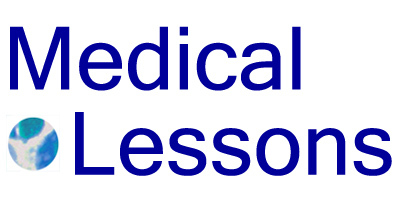 All these “lessons” – stories of patients, from patients, about patients, form a trail.